The Optik View DC21210 2MP 21.3" Color Diagnostic Display takes high resolution imaging to the next level. 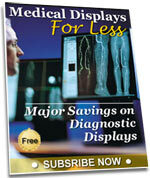 This display is designed for imaging professionals who require consistent image quality and reliable operation. 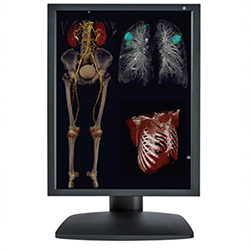 The Optik View DC21210 display offers unique processing abilities to faithfully display organs, tissue, bone and fluid in minute detail, providing radiologists and clinicians with the most accurate color and monochrome images for analysis and diagnosis. The display is ideally suited for traditional radiographic images such as chest CR, DR, and other imaging modalities requiring higher brightness and contrast performance. This high-definition display features DICOM Part 14 compliant calibration to ensure consistent image quality over the life of the product and can be used as a PACS/HIS/RIS point-of-use display.